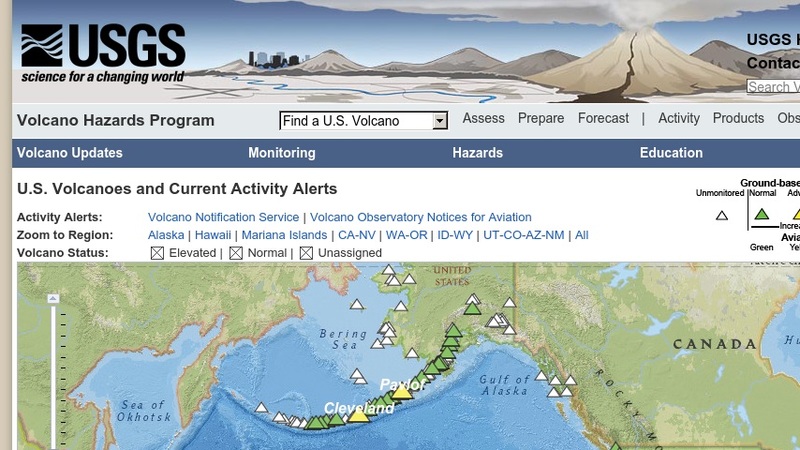 The US Geological Survey Volcano Hazards Program website presents its objectives "to advance the scientific understanding of volcanic processes and to lessen the harmful impacts of volcanic activity." The public can explore information on volcano monitoring, warning schemes, and emergency planning. Students and educators can find out about the types, effects, location, and history of volcano hazards. The website offers recent online volcano reports and maps, volcano factsheets, videos, and a photo glossary. Teachers can find online versions of many educational volcano-related books and videos. The website features the volcanic observatories in Alaska, the Cascades, Hawaii, Long Valley, and Yellowstone.